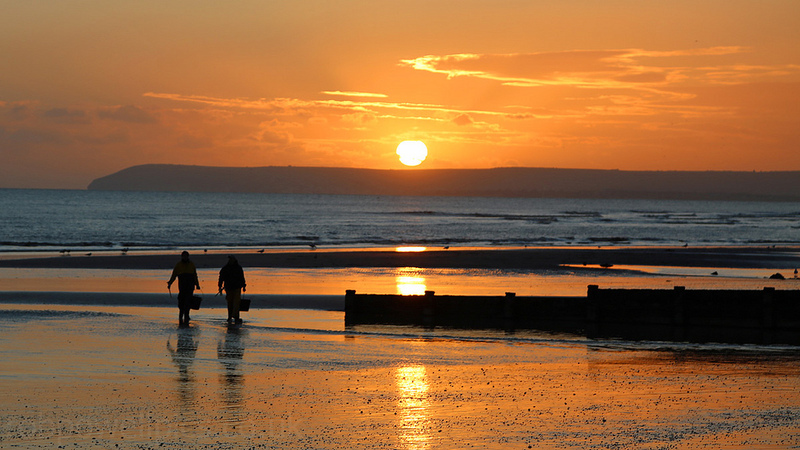 Wonderful West Sussex is home to some lovely towns and villages, boasting rolling countryside and hills, fascinating country houses, a large part of the South Downs National Park, and some stunning locations on the south coast. It also has some excellent boutique hotels to boot. Here’s our guide to lovely places to stay across the county of West Sussex with our top boutique hotels in Petworth, Midhurst, Chichester, Horsham, Arundel and Crawley. 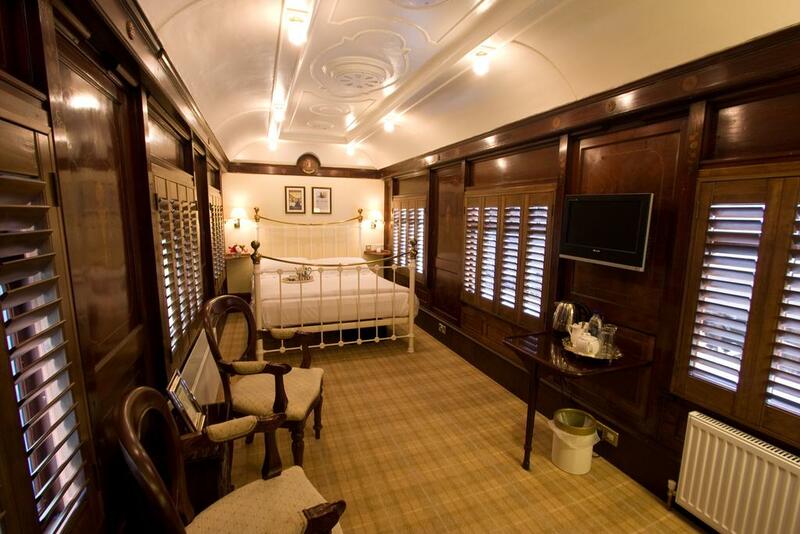 The disused 19th century Petworth railway station was closed to passengers in 1955 but now provide’s one of West Sussex’s most interesting and unique places to stay. 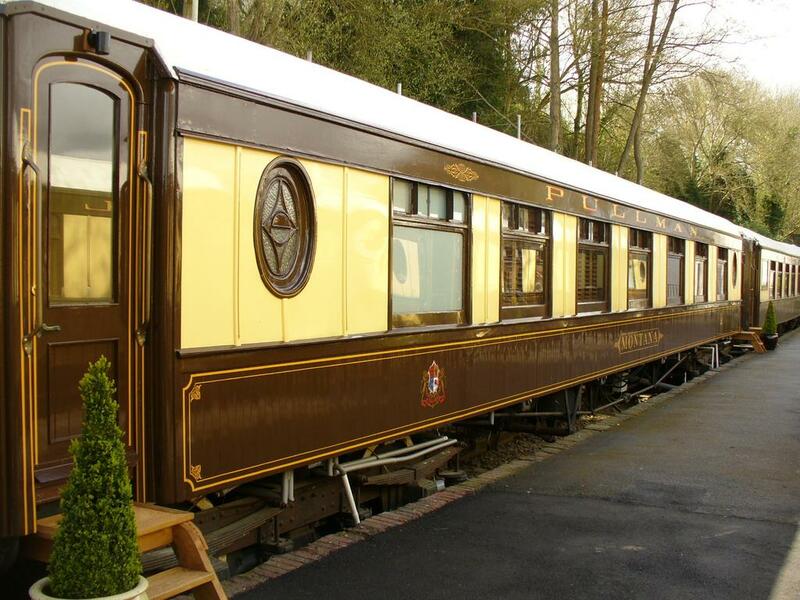 The former station been turned into a memorable boutique B&B with four charming and evocative Pullman carriages. Accommodation is available in the handsome Victorian station building itself and on the train carriages (Pictured above and top of page). The Old Railway Station will transport you to a bygone age but you’ll be hoping that this is no brief encounter. The station is just under 2 miles from Petworth town centre where there’s lots of antique shops and independent local stores to peruse, as well as stunning Petworth House and Park. 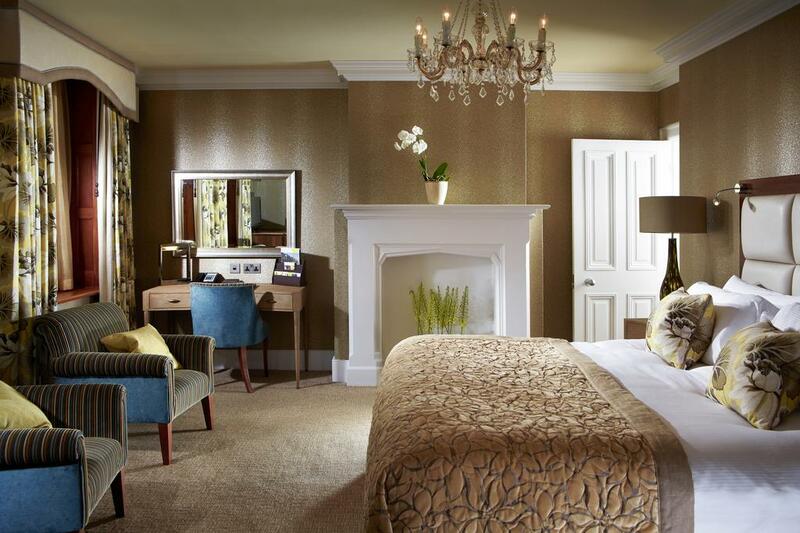 Part of the Exclusive Hotels group, South Lodge has 89 beautiful individually-designed rooms. The hotel is in a wonderfully-appointed Victorian country house in Lower Beeding, Horsham, that was built by lepidopterist, entomologist and ornithologist Frederick DuCane Godman between 1883 and 1911. The award winning hotel has a 24 hour gym and complimentary WIFI. 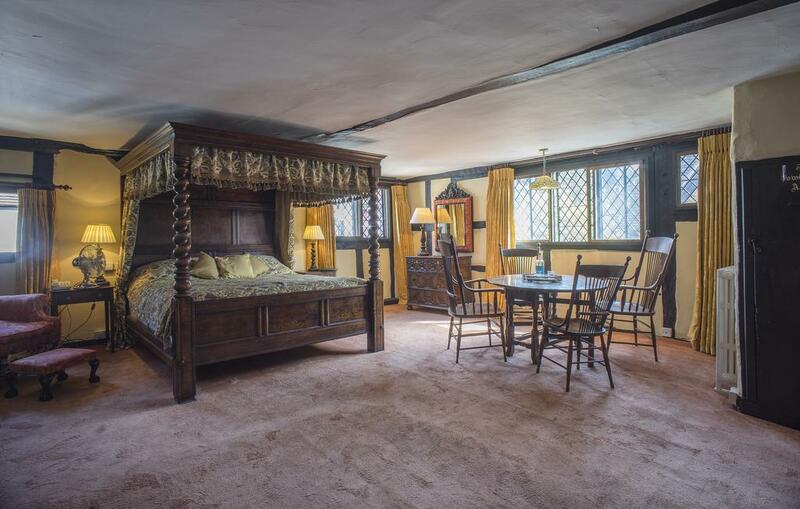 Refurbished to a modern luxurious standard but delightful period features such as oak beams, inglenook fireplaces and sloping floors lend the Spread Eagle a historic charm – parts of it date back to the 15th century, making it one of the oldest coaching inns in England. All 39 of the rooms are individually designed and the hotel boasts a contemporary spa with indoor swimming pool. The Spread Eagle is located on the very pretty South Street in the heart of Midhurst. Stay over New Year to witness the Chiddingfold, Leconfield and Cowdray Hunt setting off on New Year’s Day. 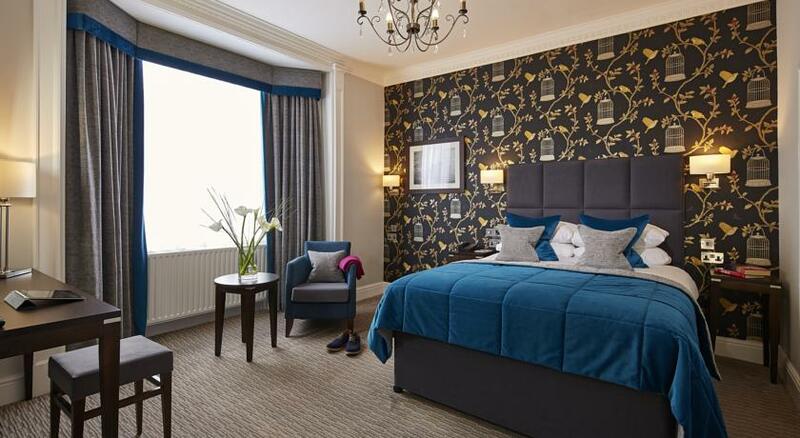 Small, stylish and romantic boutique place to stay in Crawley, close to Gatwick. 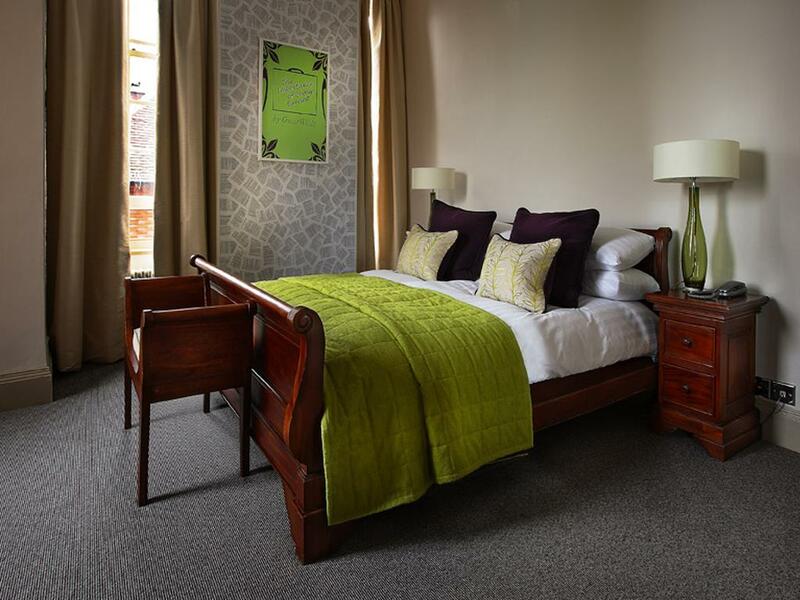 Windfalls is an intimate four bedroom hotel which boasts big comfy beds, Siberian goose down duvets, luxury toiletries, rain showers and calm, relaxing colour palettes. 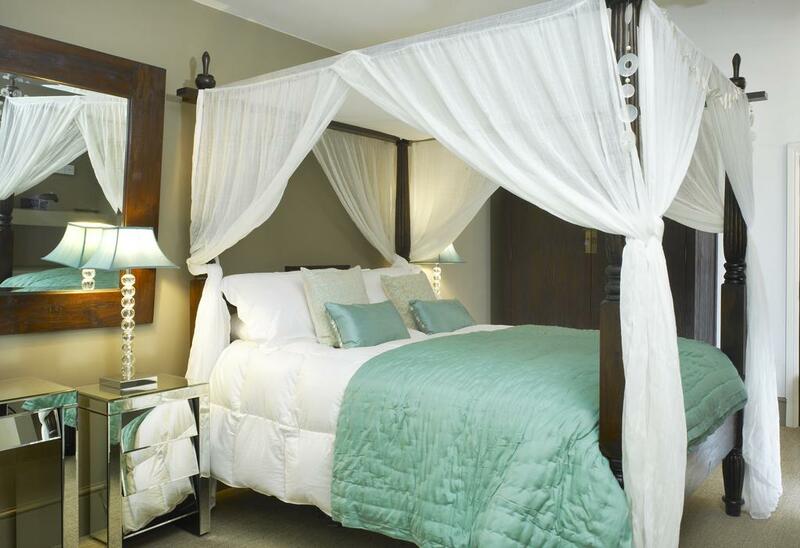 The generously proportioned Orchid room has a stunning king size four poster bed with white muslin drapes. 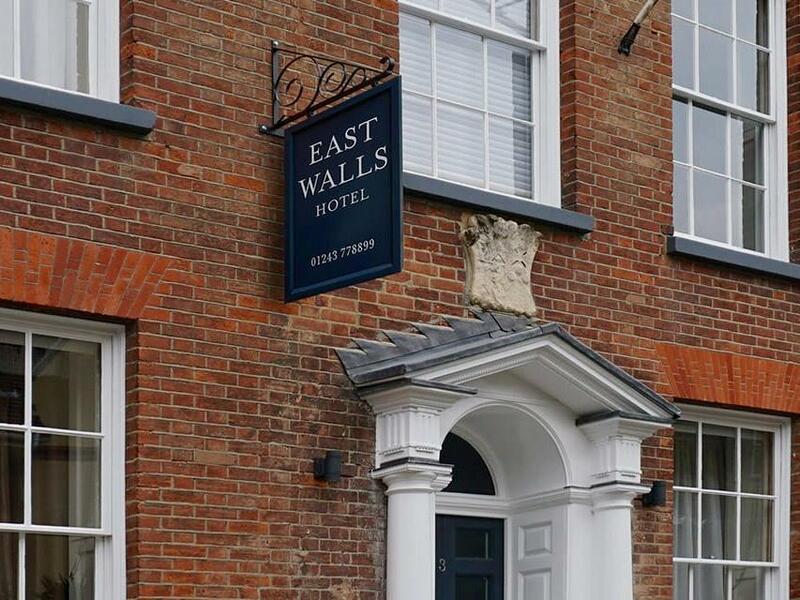 East Walls Hotel is located in a handsome Georgian property on a quiet residential street just a few minutes’ walk from beautiful Chichester city centre. Surrounded by an intimate streetscape giving a secluded feel, this elegant boutique hotel has twelve individually styled bedrooms. 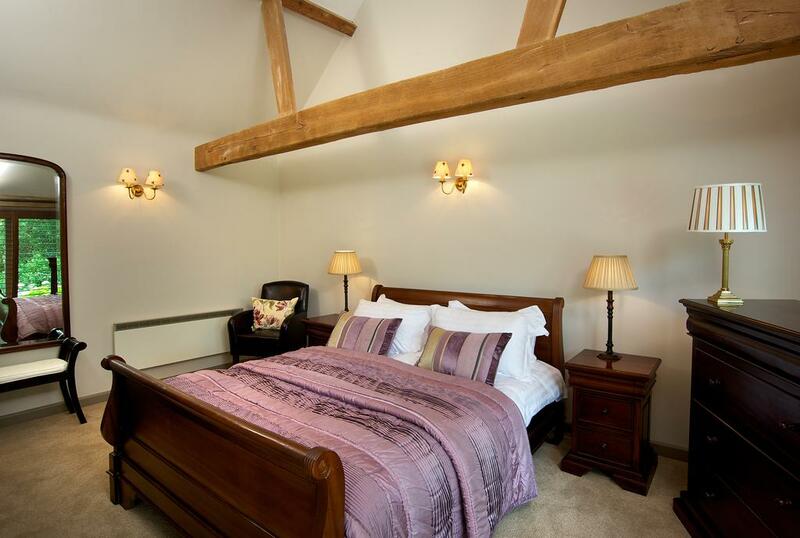 Rooms vary from cosy singles up to the spacious Priory King room with a four poster bed and a luxurious bathroom which boasts a walk in shower and spa bath with TV. Historic 17th century inn in Lodsworth, in the heart of the South Downs between Midhurst and Petworth. The boasts six charming rooms, melding contemporary touches with period features, which have been developed in the inn’s former stable yard. Look out for gorgeous open fires and a modern AA Rosette award winning restaurant. Fourteen stylish rooms at the Swan Hotel pub in exceedingly pretty Arundel High Street – a Grade II listed 18th century building which is now part of the Fuller’s chain. 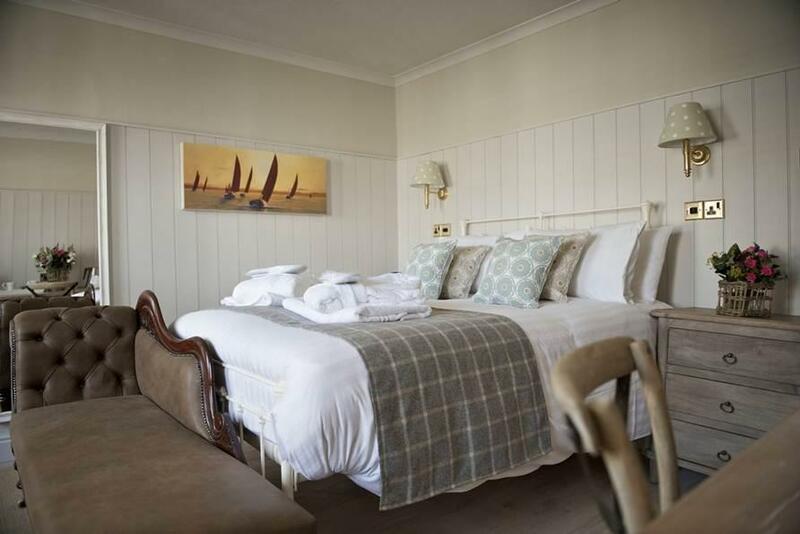 The calming, elegant rooms provide a comfortable base just a stone’s throw from the River Arun in this attractive and charming West Sussex town. Complimentary breakfast is included as standard. Delightful one bedroom house in the heart of Chichester offering boutique style self catering accommodation. The Georgian property has gorgeous decor throughout as well as off-street parking in its own cobbled courtyard. 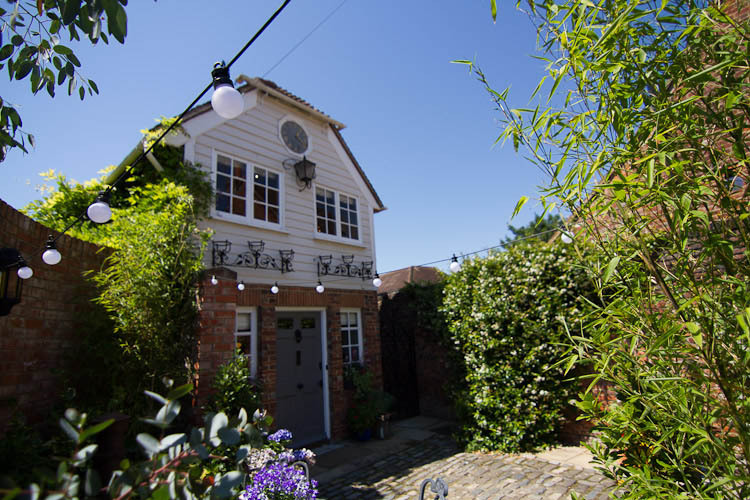 The cosy Clock House benefits from being tucked away on a quiet street but is still just a very short walk from the thriving town centre, the Festival Theatre and the famous cathedral. Use the map above to browse boutique hotels in West Sussex. Discover the best boutique hotels and places to stay in the East Sussex towns of Hastings, Eastbourne, Rye and Ticehurst. Find out the best boutique hotels and places to stay in Surrey towns of Guildford, Weybridge, Farnham and Chiddingfold.